string(20853) " SELECT SQL_CALC_FOUND_ROWS  wp_posts. * FROM wp_posts  WHERE 1=1  AND wp_posts.ID IN (618, 2192, 2284, 2383, 2396, 2397, 2398, 2399, 2400, 2401, 2402, 2403, 2404, 2405, 2406, 2407, 2408, 2409, 2410, 2411, 2412, 2413, 2414, 2415, 2417, 2418, 2419, 2420, 2421, 2422, 2423, 2424, 2425, 2426, 2427, 2428, 2429, 2430, 2431, 2432, 2433, 2434, 2435, 2436, 2437, 2438, 2439, 2440, 2441, 2442, 2443, 2444, 2445, 2446, 2447, 2448, 2449, 2450, 2451, 2452, 2453, 2454, 2455, 2456, 2457, 2458, 2459, 2460, 2461, 2462, 2463, 2464, 2465, 2466, 2467, 2468, 2469, 2470, 2471, 2472, 2473, 2474, 2475, 2476, 2477, 2620, 2621, 2622, 2623, 2624, 2625, 2626, 2627, 2628, 2629, 2630, 2631, 2632, 2633, 2634, 2635, 2636, 2649, 2650, 2651, 2652, 2653, 2654, 2655, 2656, 2657, 2658, 2659, 2660, 2661, 2662, 2663, 2664, 2665, 2666, 2667, 2668, 2669, 2670, 2671, 2672, 2673, 2740, 2741, 2742, 2743, 2744, 2745, 2746, 2747, 2748, 2749, 2750, 2751, 2752, 2753, 2754, 2755, 2756, 2757, 2758, 2759, 2760, 2761, 2762, 2788, 2911, 2935, 2936, 2942, 2943, 2944, 2946, 2947, 2951, 2955, 2957, 2958, 2959, 2960, 2961, 3129, 3181, 3182, 3183, 3184, 3185, 3186, 3187, 3188, 3189, 3190, 3193, 3194, 3195, 3196, 3197, 3198, 3199, 3200, 3201, 3202, 3203, 3204, 3205, 3206, 3207, 3214, 3224, 3287, 3288, 3289, 3300, 3301, 3303, 3307, 3308, 3309, 3382, 3383, 3384, 3385, 3386, 3387, 3388, 3389, 3390, 3391, 3392, 3393, 3394, 3395, 3396, 3408, 3409, 3410, 3431, 3432, 3433, 3436, 3437, 3438, 3441, 3442, 3443, 3456, 3457, 3458, 3467, 3469, 3472, 3475, 3499, 3500, 3501, 3502, 3503, 3504, 3505, 3506, 3524, 3525, 3530, 3531, 3532, 3533, 3575, 3641, 3659, 3693, 3694, 3695, 3696, 3697, 3698, 3699, 3700, 3701, 3712, 3713, 3714, 3715, 3750, 3751, 3752, 3753, 3754, 3755, 3756, 3788, 3789, 3790, 3791, 3792, 3798, 3801, 3802, 3803, 3958, 3960, 3961, 4342, 4386, 4387, 5033, 5034, 5035, 5036, 5040, 5065, 5212, 5275, 5441, 5445, 5714, 5719, 5722, 5723, 5724, 5725, 5726, 5727, 5915, 6059, 6088, 6120, 6257, 6512, 6719, 6720, 6721, 6725, 6730, 6861, 6874, 6883, 6921, 6922, 6923, 6924, 6925, 6928, 6929, 6930, 6931, 6962, 6963, 6975, 7058, 7059, 7182, 7196, 7197, 7198, 7199, 7209, 7241, 7242, 7300, 7327, 7353, 7673, 7725, 7728, 7729, 7732, 7779, 7780, 7781, 7782, 7808, 7842, 7863, 7878, 7882, 7884, 7885, 7890, 8004, 8184, 8199, 8212, 8227, 8228, 8326, 8691, 8692, 9019, 9034, 9035, 9036, 9061, 9065, 9068, 9116, 9129, 9231, 9236, 9241, 9244, 9248, 9255, 9312, 9421, 9510, 9812, 9827, 9873, 9944, 9945, 10003, 10019, 10020, 10025, 10034, 10052, 10068, 10072, 10357, 10358, 10379, 10516, 10523, 10525, 10529, 10568, 10580, 10586, 10701, 10851, 10855, 10856, 10865, 10881, 10882, 10895, 10901, 10902, 10903, 10904, 10905, 10906, 10907, 10908, 10909, 10910, 10911, 10914, 10936, 10939, 10996, 11044, 11184, 11271, 11287, 11381, 11389, 11390, 11391, 11392, 11393, 11394, 11395, 11441, 11443, 11499, 11529, 11539, 11679, 11680, 11686, 11941, 11958, 12009, 12156, 12233, 12238, 12239, 12266, 12277, 12323, 12325, 12911, 12913, 12915, 12918, 12956, 12957, 12963, 13234, 13240, 13246, 13482, 13615, 13617, 13625, 13626, 13644, 13677, 13781, 13791, 13981, 14158, 14281, 14282, 14299, 14361, 14375, 14376, 14379, 14380, 14381, 14382, 14470, 14526, 14674, 14712, 14726, 14767, 14768, 14769, 14977, 15064, 15066, 15067, 15068, 15070, 15071, 15074, 15080, 15089, 15090, 15091, 15102, 15103, 15104, 15105, 15136, 15137, 15138, 15140, 15141, 15144, 15145, 15146, 15147, 15148, 15158, 15171, 15176, 15177, 15187, 15194, 15229, 15238, 15239, 15253, 15256, 15257, 15262, 15269, 15272, 15273, 15275, 15276, 15292, 15305, 15306, 15307, 15308, 15309, 15310, 15311, 15312, 15315, 15319, 15321, 15322, 15324, 15374, 15375, 15392, 15466, 15467, 15468, 15469, 15470, 15476, 15492, 15576, 15578, 15579, 15590, 15604, 15606, 15607, 15610, 15618, 15630, 15659, 15892, 15893, 15894, 15898, 15994, 15998, 16014, 16015, 16017, 16044, 16045, 16046, 16048, 16119, 16153, 16232, 16235, 16236, 16238, 16311, 16364, 16379, 16387, 16411, 16412, 16413, 16454, 16455, 16519, 16537, 16538, 16586, 16592, 16713, 16729, 16730, 16731, 16733, 16736, 16737, 16738, 16739, 16740, 16741, 16742, 16743, 16747, 16800, 16801, 16802, 16803, 16804, 16805, 16806, 16807, 16808, 16809, 16810, 16811, 16812, 16875, 16880, 16881, 16882, 16908, 16922, 16938, 16981, 16982, 16983, 16986, 17105, 17135, 17139, 17144, 17145, 17151, 17154, 17155, 17165, 17167, 17171, 17173, 17193, 17194, 17332, 17347, 17348, 17359, 17360, 17365, 17408, 17418, 17420, 17451, 17454, 17455, 17459, 17618, 17644, 17686, 17702, 17703, 17704, 17705, 17706, 17707, 17709, 17725, 17733, 17740, 17752, 17753, 17755, 17762, 17767, 17983, 17984, 17986, 17990, 17993, 17994, 18180, 18181, 18218, 18237, 18238, 18264, 18342, 18346, 18354, 18359, 18360, 18361, 18362, 18424, 18428, 18429, 18430, 18434, 18435, 18473, 18502, 18503, 18504, 18505, 18575, 18625, 18629, 18657, 18658, 18706, 18730, 18785, 18786, 18788, 18843, 18844, 18845, 18857, 18858, 18870, 18876, 18877, 18878, 18917, 18918, 18919, 18984, 19021, 19033, 19050, 19052, 19069, 19070, 19072, 19073, 19074, 19226, 19227, 19228, 19233, 19237, 19458, 19521, 19522, 19622, 19628, 19629, 19664, 19665, 19690, 19691, 19692, 19695, 19696, 19717, 19738, 19739, 19808, 19834, 19842, 19987, 19992, 19993, 19997, 19998, 20032, 20044, 20045, 20048, 20051, 20053, 20054, 20063, 20065, 20066, 20067, 20068, 20072, 20081, 20082, 20100, 20101, 20107, 20108, 20109, 20113, 20114, 20216, 20294, 20295, 20398, 20399, 20400, 20401, 20417, 20437, 20439, 20441, 20442, 20443, 20447, 20466, 20468, 20474, 20478, 20479, 20497, 20532, 20533, 20534, 20555, 20556, 20557, 20558, 20559, 20580, 20615, 20667, 20668, 20685, 20686, 20706, 20730, 20733, 20742, 20743, 20747, 20751, 20756, 20757, 20760, 20761, 20765, 20791, 20823, 20843, 20847, 20858, 20883, 20894, 20899, 21030, 21176, 21183, 21190, 21200, 21201, 21231, 21232, 21411, 21417, 21487, 21489, 21495, 21498, 21565, 21742, 21750, 21754, 21769, 21786, 21873, 22352, 22369, 22377, 22378, 22584, 22670, 22800, 22802, 22803, 22804, 22805, 23246, 23331, 23640, 23713, 23714, 23763, 23768, 23769, 23811, 23813, 23814, 23816, 23817, 23823, 23828, 23829, 23839, 23840, 23841, 23865, 23866, 23868, 23890, 23929, 24100, 24331, 24351, 24469, 24489, 24494, 24527, 24530, 24579, 24580, 24581, 24587, 24588, 24597, 24671, 24674, 24682, 24684, 24686, 24687, 24688, 24720, 24845, 24916, 25108, 25109, 25157, 25271, 25274, 25276, 25277, 25278, 25442, 25443, 25444, 25448, 25449, 25454, 25455, 25473, 25483, 25484, 25487, 25490, 25499, 25589, 25590, 25625, 25629, 25644, 25675, 25688, 25690, 25692, 25722, 25758, 25759, 25824, 25825, 26013, 26498, 26504, 26507, 26508, 26509, 26510, 26522, 26557, 26593, 26603, 26604, 26605, 26626, 26630, 26715, 26726, 26729, 26733, 26734, 26735, 26783, 26786, 26852, 26862, 26863, 26866, 26867, 27119, 27202, 27203, 27204, 27209, 27228, 27248, 27252, 27309, 27310, 27320, 27323, 27377, 27378, 27379, 27380, 27407, 27408, 27409, 27410, 27476, 27479, 27480, 27494, 27500, 27512, 27519, 27520, 27526, 27552, 27721, 27722, 27723, 27977, 27995, 28075, 28213, 28300, 28352, 28378, 28382, 28401, 28402, 28437, 28511, 28539, 28553, 28554, 28555, 28559, 28844, 28845, 28852, 28867, 28941, 28942, 28943, 28944, 28946, 28947, 28953, 28954, 28955, 28956, 28983, 29204, 29277, 29383, 29399, 29482, 29542, 29581, 29872, 29873, 29877, 29920, 29922, 29983, 30020, 30022, 30045, 30053, 30096, 30098, 30260, 30268, 30299, 30323, 30350, 30375, 31149, 31288, 31365, 31449, 31478, 31503, 31546, 31603, 31609, 31618, 31620, 31654, 31655, 31791, 31824, 31866, 31895, 31896, 31897, 31899, 31900, 31930, 32199, 32672, 32676, 32818, 32819, 32822, 32826, 32827, 32934, 32935, 33003, 33024, 33026, 33048, 33050, 33056, 33058, 33060, 33086, 33087, 33091, 33267, 33288, 33339, 33348, 33375, 33381, 33382, 33418, 33445, 33446, 33469, 33477, 33478, 33494, 33551, 33572, 33814, 33873, 33875, 33877, 33878, 33889, 33919, 33927, 33950, 33972, 34031, 34042, 34043, 34050, 34052, 34082, 34089, 34155, 34156, 34165, 34192, 34203, 34204, 34228, 34229, 34230, 34231, 34232, 34233, 34236, 34256, 34292, 34301, 34337, 34592, 34604, 34607, 34612, 34674, 34678, 34690, 34709, 34713, 34714, 34741, 34755, 34756, 34838, 34840, 34888, 34910, 34926, 34935, 34936, 34937, 34938, 34939, 34943, 34956, 34971, 34983, 34984, 34985, 34988, 34989, 35092, 35093, 35147, 35171, 35278, 35309, 35317, 35320, 35442, 35445, 35549, 35571, 35572, 35578, 35594, 35595, 35604, 35626, 35634, 35638, 35639, 35734, 35737, 35739, 35744, 35780, 35792, 35847, 36117, 36135, 36175, 36207, 36235, 36257, 36289, 36290, 36291, 36295, 36302, 36460, 36461, 36467, 36469, 36499, 36502, 36503, 36526, 36583, 36632, 36640, 36894, 36895, 36918, 36977, 36978, 36979, 36981, 36982, 36983, 36984, 37003, 37013, 37173, 37187, 37188, 37193, 37194, 37195, 37232, 37233, 37234, 37400, 37558, 37595, 37596, 37632, 37633, 37649, 37650, 37651, 37656, 37657, 37658, 37673, 37676, 37679, 37684, 37685, 37721, 37724, 37726, 37735, 37736, 37754, 37765, 37793, 37819, 37820, 37821, 37830, 37836, 37837, 37840, 37841, 37843, 37844, 37850, 37852, 37853, 37868, 37872, 37885, 37886, 37887, 37889, 37891, 37896, 37901, 37907, 37920, 38065, 38066, 38068, 38074, 38076, 38084, 38085, 38087, 38088, 38089, 38176, 38187, 38212, 38227, 38230, 38263, 38296, 38298, 38323, 38330, 38332, 38333, 38354, 38355, 38359, 38362, 38365, 38366, 38413, 38416, 38453, 38551, 38553, 38566, 38578, 38584, 38585, 38586, 38616, 38619, 38632, 38639, 38642, 38988, 38992, 39026, 39029, 39030, 39031, 39032, 39055, 39056, 39058, 39059, 39062, 39096, 39186, 39271, 39314, 39337, 39381, 39383, 39385, 39386, 39437, 39452, 39784, 39788, 40016, 40020, 40212, 40233, 40238, 40253, 40256, 40307, 40343, 40373, 40374, 40454, 40631, 40684, 40719, 40722, 40731, 40732, 40740, 40741, 40744, 40814, 40815, 40819, 40820, 40821, 40822, 40828, 40829, 40845, 40851, 40945, 40950, 40979, 40983, 40991, 41062, 41190, 41242, 41298, 41398, 41525, 41526, 41622, 41632, 41633, 41634, 41818, 41819, 41820, 41821, 41917, 42003, 42377, 42387, 42533, 42834, 42871, 42901, 43019, 43020, 43021, 43032, 43033, 43087, 43304, 43349, 43351, 43382, 43387, 43388, 43389, 43390, 43391, 43436, 43531, 43543, 43583, 43651, 43711, 43848, 43850, 43901, 43902, 43904, 43905, 43979, 43997, 44006, 44033, 44095, 44118, 44228, 44283, 44284, 44451, 44462, 44585, 44732, 44813, 44814, 44815, 44816, 44823, 44824, 44825, 44826, 44836, 44837, 44914, 44984, 45151, 45152, 45154, 45155, 45169, 45267, 45287, 45296, 45297, 45298, 45299, 45301, 45361, 45418, 45435, 45482, 45493, 45500, 45508, 45517, 45518, 45624, 45627, 45746, 45865, 45905, 45922, 45923, 45927, 46073, 46116, 46118, 46122, 46157, 46159, 46168, 46169, 46247, 46296, 46298, 46302, 46304, 46305, 46313, 46314, 46316, 46341, 46351, 46352, 46380, 46381, 46382, 46388, 46400, 46428, 46434, 46871, 46986, 46994, 46996, 47334, 47346, 47348, 47409, 47413, 47450, 47454, 47456, 47457, 47458, 47459, 47460, 47461, 47468, 47470, 47516, 47522, 47532, 47534, 47982, 47987, 48073, 48074, 48088, 48102, 48115, 48116, 48117, 48211, 48212, 48213, 48214, 48493, 48603, 48607, 48609, 48611, 48724, 48725, 48726, 48805, 48810, 48957, 49200, 49209, 49211, 49219, 49230, 49260, 49270, 49271, 49273, 49274, 49275, 49285, 49286, 49587, 49664, 49694, 49697, 49698, 49728, 49789, 49811, 49837, 49838, 49884, 49986, 49990, 50066, 50114, 50115, 50128, 50138, 50142, 50143, 50504, 50538, 50541, 50542, 50708, 50709, 50751, 50790, 50850, 50902, 50906, 50939, 50981, 50986, 51004, 51263, 51281, 51546, 51560, 51585, 51589, 51591, 51599, 51652, 51694, 51730, 51746, 51758, 51775, 51778, 51779, 51816, 51827, 51829, 51848, 51885, 51888, 51890, 51896, 52162, 52163, 52193, 52200, 52266, 52274, 52317, 52418, 52422, 52542, 52664, 52885, 52886, 52955, 53239, 53356, 53382, 53429, 53458, 53653, 53886, 53919, 53943, 53980, 53988, 53990, 53994, 54266, 54301, 54303, 54308, 54341, 54356, 54470, 54471, 54474, 54507, 54522, 54650, 54681, 54683, 54718, 54743, 54750, 54754, 54756, 54809, 54859, 54939, 54967, 55240, 55283, 55288, 55317, 55319, 55326, 55344, 55441, 55511, 55537, 55581, 55586, 55618, 55634, 55635, 55644, 55689, 55757, 55778, 55780, 55781, 55784, 55789, 55921, 56141, 56167, 56285, 56380, 56398, 56405, 56519, 56604, 56613, 56673, 56770, 56923, 57036, 57037, 57038, 57078, 57200, 57242, 57243, 57244, 57275, 57303, 57450, 57652, 57728, 57729, 57730, 57751, 57752, 57753, 57754, 57755, 57847, 57853, 57855, 57867, 57977, 58007, 58062, 58070, 58071, 58169, 58179, 58214, 58283, 58284, 58285, 58286, 58287, 58288, 58289, 58290, 58328, 58331, 58422, 58423, 58424, 58425, 58675, 58701, 58741, 58742, 58746, 58750, 58751, 58752, 58755, 58807, 58815, 58879, 58895, 58924, 58925, 59348, 59364, 59374, 59379, 59380, 59393, 59394, 59395, 59396, 59397, 59406, 59651, 59678, 59903, 59934, 59936, 59976, 60095, 60129, 60171, 60177, 60179, 60180, 60242, 60251, 60269, 60270, 60271, 60279, 60280, 60312, 60382, 60383, 60403, 60472, 60506, 60508, 60537, 60538, 60587, 60588, 60589, 60593, 60594, 60596, 60598, 60599, 60600, 60606, 60613, 60617, 60755, 60757, 60765, 60778, 60874, 60876, 60878, 60879, 60880, 60922, 60924, 60925, 60947, 60964, 60994, 60995, 61022, 61037, 61038, 61145, 61153, 61169, 61211, 61233, 61344, 61345, 61346, 61506, 61508, 61509, 61587, 61606, 61610, 61611, 61612, 61722, 61723, 61846, 61847, 61848, 61915, 62122, 62141, 62158, 62159, 62160, 62161, 62162, 62195, 62225, 62226, 62231, 62232, 62271, 62296, 62315, 62327, 62537, 62566, 62623, 62673, 62677, 62684, 62685, 62732, 62733, 62735, 62736, 62737, 62738, 62739, 62742, 62755, 62774, 62775, 62776, 62777, 62779, 62780, 62781, 62783, 62784, 62793, 62807, 62809, 62846, 62861, 62862, 62863, 62864, 62866, 62867, 62871, 62876, 62898, 62900, 62945, 62951, 62952, 62954, 62955, 62956, 62957, 62958, 62959, 63053, 63073, 63117, 63131, 63138, 63141, 63142, 63145, 63146, 63147, 63148, 63150, 63151, 63153, 63154, 63156, 63161, 63188, 63213, 63215, 63222, 63225, 63276, 63279, 63280, 63296, 63309, 63373, 63412, 63417, 63425, 63616, 63648, 63666, 63668, 63669, 63677, 63726, 63770, 63808, 63812, 63823, 63824, 63827, 63828, 63829, 63830, 63831, 63832, 63833, 63863, 63955, 63962, 64013, 64056, 64058, 64063, 64067, 64105, 64238, 64266, 64278, 64279, 64280, 64281, 64307, 64367, 64407, 64408, 64422, 64423, 64444, 64480, 64482, 64483, 64538, 64573, 64574, 64620, 64623, 64631, 64648, 64650, 64666, 64667, 64676, 64696, 64731, 64893, 64894, 64926, 64964, 64966, 64977, 64978, 64979, 64980, 64981, 64999, 65000, 65002, 65012, 65019, 65022, 65044, 65045, 65047, 65089, 65090, 65107, 65108, 65109, 65110, 65111, 65112, 65113, 65114, 65115, 65126, 65128, 65129, 65150, 65152, 65153, 65186, 65187, 65199, 65200, 65201, 65202, 65216, 65217, 65255, 65365, 65379, 65456, 65486, 65516, 65519, 65520, 65552, 65599, 65601, 65635, 65655, 65666, 65667, 65672, 65673, 65697, 65703, 65704, 65705, 65708, 65719, 65721, 65724, 65735, 65849, 65922, 65924, 65981, 66035, 66051, 66052, 66053, 66054, 66064, 66068, 66070, 66077, 66083, 66087, 66090, 66091, 66092, 66098, 66099, 66103, 66123, 66128, 66148, 66151, 66223, 66225, 66234, 66242, 66245, 66246, 66248, 66249, 66267, 66269, 66272, 66290, 66334, 66335, 66339, 66340, 66358, 66451, 66485, 66610, 66682, 66684, 66766, 66777, 66778, 66779, 66815, 66826, 66827, 66840, 66841, 66843, 66892, 66923, 66935, 66936, 66937, 66938, 66939, 66950, 66966, 66967, 66968, 66969, 66974, 66996, 67005, 67006, 67013, 67017, 67044, 67065, 67079, 67174, 67241, 67260, 67301, 67329, 67332, 67333, 67334, 67335, 67336, 67348, 67349, 67364, 67373, 67376, 67378, 67379, 67380, 67381, 67382, 67386, 67387, 67388, 67395, 67407, 67412, 67498, 67500, 67501, 67506, 67507, 67508, 67518, 67674, 67675, 67685, 67686, 67726, 67729, 67735, 67737, 67738, 67784, 67785, 67804, 67860, 67861, 67903, 68017, 68018, 68192, 68221, 68222, 68228, 68229, 68230, 68231, 68275, 68334, 68335, 68337, 68338, 68339, 68373, 68374, 68375, 68390, 68419, 68436, 68463, 68468, 68469, 68481, 68482, 68487, 68503, 68516, 68517, 68598, 68599, 68600, 68601, 68602, 68603, 68743, 68744, 68745, 68761, 68762, 68763, 68771, 68773, 68774, 68787, 68793, 68836, 68837, 68838, 68895, 68901, 68903, 68904, 68972, 68996, 69011, 69013, 69015, 69047, 69048, 69263, 69264, 69265, 69266, 69267, 69346, 69367, 69369, 69475, 69476, 69477, 69478, 69479, 69483, 69496, 69551, 69600, 69603, 69605, 69607, 69620, 69622, 69662, 69755, 69794, 69871, 69992, 69993, 70013, 70014, 70041, 70047, 70145, 70283, 70298, 70333, 72627, 72628, 72629, 72630, 72632, 79133, 81276, 81919, 85608, 85614, 88690, 88901, 88929, 88930, 88931, 88932, 88933, 88934, 88935, 88936, 88937, 88939, 89069, 89110, 89163, 89166, 89167, 89169, 89232, 89236, 89247, 89302, 89312, 89317, 89620, 89746, 89747, 89748, 89768, 89808, 89837, 89842, 89850, 89857, 89858, 89859, 89914, 89955, 89957, 89958, 89965, 89989, 90034, 90036, 90037, 90079, 90080, 90086, 90087, 90100, 90118, 90147, 90148, 90151, 90155, 90156, 90170, 90193, 90195, 90196, 90201, 90207, 90209, 90295, 90297, 90317, 90318, 90319, 90320, 90321, 90333, 90334, 90337, 90339, 90358, 90360, 90398, 90406, 90407, 90414, 90421, 90422, 90435, 90436, 90437, 90439, 90440, 90441, 90472, 90478, 90497, 90501, 90502, 90507, 90508, 90514, 90518, 90519, 90520, 90528, 90531, 90534, 90542, 90551, 90552, 90553, 90555, 90556, 90557, 90558, 90559, 90578, 90580, 90581, 90584, 90597, 90604, 90605, 90612, 90660, 90728, 90752, 90756, 90757, 90768, 90806, 90841, 90847, 90848, 90849, 90850, 90851, 90866, 90887, 90899, 90900, 90902, 90903, 90905, 90922, 90951, 90994, 91019, 91020, 91023, 91037, 91056, 91057, 91058, 91061, 91075, 91077, 91116, 91117, 91118, 91119, 91120, 91121, 91122, 91123, 91128, 91129, 91130, 91134, 91157, 91161, 91162, 91170, 91175, 91176, 91262, 91263, 91264, 91265, 91266, 91267, 91269, 91270, 91356, 91357, 91378, 91379, 91380, 91406, 91409, 91517, 91518, 91519, 91521, 91534, 91538, 91539, 91569, 91572, 91573, 91574, 91582, 91583, 91584, 91631, 91639, 91641, 91678, 91679, 91696, 91715, 91742, 91744, 91792, 91798, 91831, 91834, 91869, 91870, 91871, 91872, 91887, 91888, 91890, 91891, 91892, 91935, 91951, 91952, 92004, 92018, 92031, 92046, 92053, 92054, 92055, 92060, 92074, 92075, 92076, 92084, 92086, 92087, 92089, 92093, 92094, 92096, 92097, 92098, 92103, 92104, 92107, 92108, 92109, 92110, 92111, 92112, 92113, 92115, 92116, 92117, 92149, 92151, 92154, 92155, 92156, 92158, 92159, 92161, 92163, 92173, 92175, 92182, 92204, 92205, 92206, 92207, 92208, 92213, 92215, 92216, 92217, 92218, 92219, 92221, 92222, 92223, 92224, 92225, 92226, 92227, 92240, 92241, 92243, 92244, 92253, 92409, 92410, 92411, 92412, 92429, 92430, 92431, 92432, 92433, 92434, 92435, 92436, 92437, 92438, 92439, 92440, 92441, 92442, 92443, 92444, 92445, 92448, 92449, 92450, 92451, 92452, 92453, 92454, 92455, 92502, 92503, 92505, 92506, 92507, 92508, 92517, 92518, 92520, 92521, 92522, 92524, 92526, 92540, 92541, 92550, 92551, 92552, 92553, 92554, 92556, 92560, 92561, 92562, 92572, 92573, 92583, 92587, 92588, 92595, 92596, 92597, 92598, 92599, 92622, 92623, 92624, 92625, 92626, 92638, 92757, 92777, 92778, 92793, 92795, 92796, 92797, 92798, 92868, 92871, 92891, 92957, 92979, 92980, 92982, 93004, 93013, 93019, 93038, 93039, 93072, 93073, 93074, 93076, 93077, 93087, 93088, 93089, 93125, 93126, 93128, 93148, 93171, 93192, 93193, 93195, 93197, 93203, 93217, 93224, 93226, 93228, 93229, 93262, 93263, 93265, 93333, 93335, 93436, 93437, 93474, 93486, 93487, 93488, 93503, 93504, 93532, 93536, 93537, 93539, 93552, 93630, 93648, 93650, 93651, 93653, 93658, 93661, 93668, 93681, 93682, 93698, 93718, 93729, 93732, 93820, 93821, 93896, 93899, 94000, 94137, 94173, 94198, 94203, 94206, 94207, 94208, 94226, 94247, 94248, 94249, 94251, 94252, 94253, 94265, 94269, 94286, 94287, 94298, 94342, 94350, 94391, 94392, 94410, 94413, 94428, 94456, 94542, 94544, 94549, 94551, 94554, 94555, 94556, 94559, 94560, 94589, 94617, 94618, 94647, 94648, 94676, 94678, 94684, 94725, 94734, 94754, 94765, 94766, 94768, 94780, 94782, 94791, 94792, 94793, 94798, 94799, 94810, 94814, 94866, 94869, 94917, 94933, 94934, 95015, 95047, 95048, 95063, 95064, 95067, 95076, 95107, 95153, 95158, 95159, 95183, 95194, 95196, 95199, 95210, 95211, 95212, 95222, 95227, 95269, 95271, 95273, 95274, 95276, 95327, 95483, 95484, 95516, 95578, 95580, 95582, 95602, 95603, 95604, 95605, 95608, 95609, 95611, 95612, 95625, 95626, 95627, 95644, 95645, 95646, 95666, 95678, 95679, 95683, 95684, 95685, 95696, 95697, 95698, 95699, 95700, 95910, 96013, 96015, 96046, 96055, 96072, 96073, 96077, 96079, 96080, 96081, 96102, 96112, 96208, 96217, 96227, 96228, 96230, 96233, 96250, 96251, 96265, 96272, 96282, 96283, 96284, 96286, 96289, 96307, 96355, 96366)  AND wp_posts.post_type IN ('post', 'page', 'attachment', 'photo', 'instruments', 'listings', 'magazine', 'magazine_article', 'magazine_editorial', 'magazine_attachment', 'shop_item') AND (wp_posts.post_status = 'publish')  ORDER BY wp_posts.post_date DESC LIMIT 0, 20"
Clavius è un enorme cratere lunare di circa 225 Km di diametro. Al suo interno sono presenti numerosi crateri di svariate dimensioni e morfologie. Catturare i più piccoli dettagli lunari è la mia passione." string(27) "Ripresa del Sole in H-Alpha"
string(180) "Ripresa effettuata nell'infrarosso con filtro da 1 micron. Visibili filiformi strutture nuvolose collocate a circa 60 km dal superficie venusiana. string(138) "Ngc 2392 tricromia OIII, SII, Halpha. 60 frames da 60 sec x ogni filtro. C11 con riduttore spianatore. Camera Atik 428 ex mono binning 2x2"
string(265) "14 Febbraio 2019 - Regione lunare con al centro il cratere CLAVIUS (diametro 230 km). Telescopio Mak Rumak 255mm F20 (5000mm) + ZWO ASI 224mc + filtro IR Blocking, acquisizione con software ASICAP Capture a 27 fps in USB2.0 (Raw 8), media di 800/1700 frames totali." string(1033) "La Galassia Girandola (nota anche come M 101, o NGC 5457) è una galassia a spirale nella costellazione dell'Orsa Maggiore. Dista 23.790.000 anni luce dalla Terra, ed è una galassia di tipo Sc (spirale non compatta); da un osservatore dalla terra è vista esattamente "di faccia", ma i suoi bracci sono visibili solo con un grande telescopio. Il diametro della galassia è circa 170.000 anni luce, ovvero quasi il doppio rispetto al diametro della nostra Galassia. B: 22 frame da 300 sec"
string(504) ""Regione Solare Attiva 2738" ripresa il 15 Aprile 2019 alle 10h32' locali con telescopio Mak Rumak 255mm F20 (5000mm) + riduttore a F12,6 (3200mm) + camera ZWO ASI 224mc + filtro Baader Planetarium Interferenziale Continuum 10/CWL540nm + filtro frontale a tutta apertura Baader Planetarium ASTF 280. Software di acquisizione ASICAP-Capture in modalità Raw8 (Video.AVI) a 44 fps (1024x768) in USB2.0. Media di 450/2300 frames totali. In evidenza la macchia solare e la granulazione fotosferica." string(26) "Regione Solare Attiva 2738"
string(19) "Luna Cinerea HDR 9%"
string(73) "HA-OIII-RGB: HA 36x10min, OIII 35x10min, R 26x5min, G 26x5min, B 30x5min "
string(47) "Emberson-Jones1 Nebulosa Planetaria nella Lince"
string(973) ""The Cygnus Wall", è una parte della ben più grossa nebulosa "Nord America", vasta regione di Idrogeno ionizzato. Si tratta di una area di formazione stellare, sono presenti molte stelle giovani, con ancora un disco protoplanetario attorno. La composizione dello scatto è particolare, HA+OIII+RGB, HA e OIII uniti in bicolor HOO e RGB unito per dare consistenza al colore delle stelle. Riprese effettuate tra il 10 e il 17 marzo 2019 nelle ore appena antecedenti l'alba da cielo urbano (25km nord di Milano) Bortle 7/8. 21 dark/bias/RGB flat, 21 HA Flat, 21 OIII flat. Filtri usati: Optolong L-Pro, Baader HA/OIII/SII"
string(130) "Nebulosa diffusa in Cassiopea dalla caratteristica forma a Bolla. Ripresa effettuata in più notti ed elaborata in Hubble Palette." string(535) "NGC 3532 (Caldwell 91) noto anche come Ammasso Pozzo dei desideri o The Pin Cushion Cluster. Questo ammasso aperto, magnitudine 3.00, si trova nella costellazione della Carena immerso fra gli impressionanti campi stellari e le nebulosità della via Lattea australe. Immagine acquisita il 03 Aprile 2019 alle 16h30' IT con telescopio a controllo remoto situato presso Osservatorio di Siding Spring (Australia). Televue NP127FLI Refractor, 127mm F5,3 (680mm). Esposizioni: L 6x120" bin1 + RGB 1x120" bin2 ogni canale di colore." string(38) "Ingrandimento su NGC 3532 nella Carena"
è una galassia a spirale visibile nella costellazione dei Cani da Caccia...La distanza è stimata sui 37 milioni di anni luce e si allontana da noi alla velocità di 580km/s... 40pose da 300sec"
string(1041) "Nei pressi della stella omicron dell'Orsa Maggiore, Muscida (qui rimasta appena fuori campo in basso al centro), che rappresenta il muso dell'animale, continua l'addensamento di IFN e una grande quantità di oggetti del catalogo LBN. 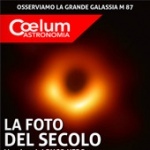 Nella foto sono visibili in alto da sinistra a destra LBN723, LBN727, LBN732, LBN733 e in basso, sopra il riflesso di Muscida, LBN729 sopra e LBN728 sotto. Si tratta di oggetti estremamente deboli al limite del fondo cielo, anche perchè sono stati ripresi dalla terrazza del giardino, con i soliti 2 lampioni stradali a 10m a tenermi compagnia. L'elaborazione risulta pertanto sempre al limite e devo così accontentarmi di quello che posso fare. Il tele usato è il solito Takahashi FSQ106EDXIII ridotto a f/3,6 su montatura Losmandy G11 e camera ccd Sbig STL11000. Elaborazione LRGB. Filtri Astonomik CLS CCD e Astronomik DeepSky RGB. Integrazione 840:120:120:120. Ripresa completamente automatizzata con software Voyager. Software di elaborazione PixInsight e PS. Località di ripresa Casole d'Elsa (SI)"
string(21) "Nei pressi di Muscida"
string(535) "NGC 3532, Caldwell 91, noto anche come Ammasso Pozzo dei desideri o The Pin Cushion Cluster. Questo ammasso aperto, magnitudine 3.00, si trova nella costellazione della Carena immerso fra gli impressionanti campi stellari e le nebulosità della via Lattea australe. Immagine acquisita il 03 Aprile 2019 alle 16h30' IT con telescopio a controllo remoto situato presso Osservatorio di Siding Spring (Australia). Televue NP127FLI Refractor, 127mm F5,3 (680mm). Esposizioni: L 6x120" bin1 + RGB 1x120" bin2 ogni canale di colore." string(36) "Ammasso aperto NGC 3532 nella Carena"
quelle un pò più lunghe hanno permesso di migliorare profondità e colore. Di seguito l'elenco delle acquisizioni. Total exposure time for the background: 83m"
string(37) "Galassie di Bode e Sigaro (M81 e M82)"
string(73) "HA-OIII-RGB: HA 30x10min, OIII 24x10min, R 24x5min, G 33x5min, B 16x5min "
string(34) "SH2-274 Nebulosa Planetaria Medusa"
string(1219) "L'ammasso stellare aperto numero 46 del catalogo Messier è individuabile nella costellazione della Poppa a 5400 anni luce dal nostro sistema solare. Ne fanno parte circa 500 stelle delle quali solo 150 con magnitudine compresa fra 10 e 13. Caratteristica molto particolare di questo ammasso è la presenza, al suo interno, di una nebulosa planetaria (NGC 2438) nel cui centro si individua una nana bianca di magnitudine 17,7. In realtà la nebulosa è solo prospetticamente in prossimità di M46 infatti la sua distanza è di 2900 anni luce quindi molto più vicina. In questa foto è possibile vedere una seconda nebulosa planetaria molto debole alla sinistra dell'ammasso, la Minkowski 1-18. Le riprese sono state effettuate alla fine di Marzo nei pressi di Maruggio (TA). Software di elaborazione: DeepSkyStacker, Photoshop CC, PixInsight"
string(68) "Ammasso aperto M46 con nebulose planetarie NGC 2438 e Minkowski 1-18"
string(109) "Foto marte elaborata con registrax 6 catturata da webcam omegon con video di 1000 frames, frames rate 10 fps "